Everything seems to be going as planned. You have your dream dress being altered to perfection. The venue is the one that you wanted and the location is perfect for everyone. You have a catered meal fit for royalty and now you need the perfect wedding cake to go with your classy wedding décor. You are looking for something modern, fancy, simple, and unique but how can you get all of this and more? There are a few ideas that you will want to consider when purchasing your delicious and beautiful treat. The Cost- The average cost of a wedding cake is $500. At this point, you should have an idea of how many people you plan to invite to your wedding and how many will actually be in attendance. Once you have the number, then you will want to get a list of the Top 5 bakers that you love or have heard great things about. You also want to examine how you want your cake to be decorated. If you are not exactly sure about how you want your cake to look or taste, then you can always schedule an appointment with you baker so that you can taste their samples and see images of what you may want. This can be a lot of fun! Once you have made your decision on taste and décor, time and delivery, then you will be able to pick a cake that fits your price. The Date- It takes some time to create a cake, so be considerate of the baker by giving them at least a month to create your piece of perfection. Some bakery’s well tell you how much time they need to customize a cake, so at least three months in advance will suffice. With that time frame, be sure that you let the baker know when and where they are to make the delivery so that everything is done in a timely manner. The Décor- There are so many trendy ideas and ways to decorate your wedding cake that it could actually upstage the wedding dress. Some people are into the cupcake trend, others like a traditional tier cake. The choice is yours depending on your style and your budget. When choosing a wedding cake, be sure that you have the color theme and the shape that you like. Not certain? Consider adding pearls to your décor, the look of pearls are very classy and elegant. Your guests will be amazed! Take a look at these pearly cakes. Note: The cake look will more than likely vary because like art, nothing comes out the same every time. Just be sure to connect with a baker with great work, references, and experience. The Taste- There are a lot of great tasting cakes to select from; buttercream icing on a yellow cake or red velvet with cream cheese buttercream sounds really good, right? Well, you have this selection plus more when it comes to flavors. The easiest choice is a flavor that you know most people love. You can never go wrong with vanilla or chocolate. And if you’re still not sure of the many cake ideas, check out this 10:50 video that gives you a few cake image ideas. So eat, be merry, and have a long and lasting love! 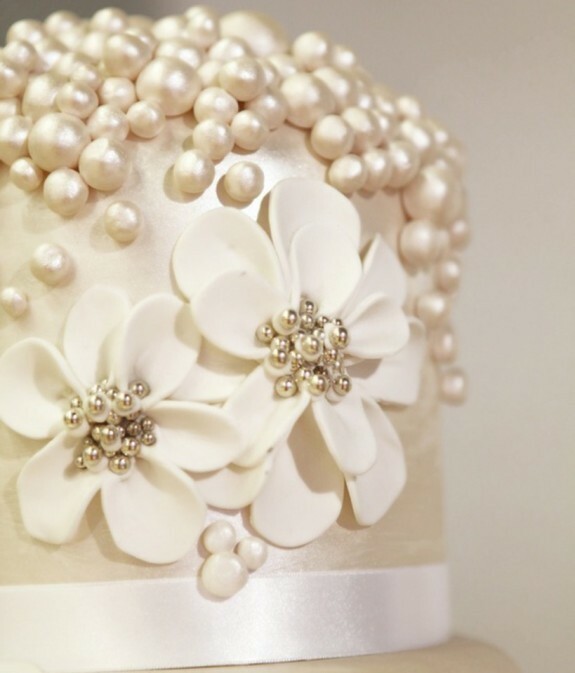 This entry was posted in PearlsOnly and tagged cake style, decor, finding a cake, pearl, pearl cake, Pearls, pearls only, taste, tips, wedding cake, wedding dress by PearlsOnly Team. Bookmark the permalink.